Lombardia Fiere: mission accomplished for the first edition of Be Italian in New York. Enthusiastic exhibitors: “Excellent job, commercial results exceeding expectations”. 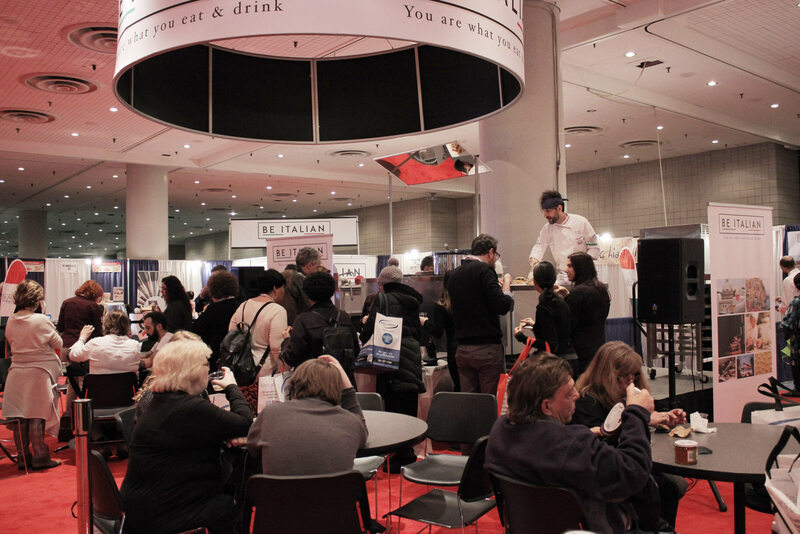 The Be Italian special area, easily recognizable within the context of the International Restaurant & Foodservice Show, piqued curiosity, attracting a great many food industry members, impressed by the quality of the exhibitors. The exhibitors, whether presenting typical products or equipment, made lots of promising business contacts to be further developed in the next few months. Be Italian proved to be a very effective marketing tool. Indeed, several Italian companies attending the International Restaurant & Foodservice Show on their own this time, expressed the intention of taking advantage of the special area organized by Lombardia Fiera for the next show. There were plenty of high hopes for the initial edition, the launching, of Be Italian and by the end of the three-day fair, the results and opinions were definitely positive – in many cases, well beyond even the rosiest expectations. The three days at the fair were intense. The event drew more than 20,000 visitors, all professional members of the food industry. The Be Italian special area was organized by Lombardia Fiere within the overarching context of the International Restaurant and Foodservice Show, one of the most important American fairs serving the professional food sector. Be Italian represented a completely new experience for the fair and this is why it was literally besieged by buyers, many made curious, not only by the excellent food products on display – some of which were being shown for the first time in the United States – but also by the professional equipment. “It represented an important opportunity, not only in terms of providing the producers with a new and effective marketing tool, but above all for promoting a style of enjoying food and patrimony of know-how possessed only by Italian producers. We have to raise awareness about food, its preparation and eating, helping American food industry members appreciate the enormous difference between the original products we have brought to Be Italian and the counterfeit junk that has invaded the market there,” underscored Antonio Piva, president of CremonaFiere, the founder of Lombardia Fiere along with Centro Fiera of Montichiari, Ente Fiera Promoberg of Bergamo, and Pro Brixia – Special Company of the Brescia Chamber of Commerce. With this aim in mind, a large kitchen facility was set up within the Be Italian area for the presentation of cooking shows. Various chefs belonging to the Federazione Italiana Cuochi of New York took turns brandishing their skills at the stoves in this cooking showcase for all three days of the fair, producing traditional Italian dishes that were obviously highly appreciated, given the throngs of people consistently on hand to enjoy the spectacle.